A unique combination of tonic herbs may help restore a healthy eating pattern. Recommended in case of temporary appetite loss. 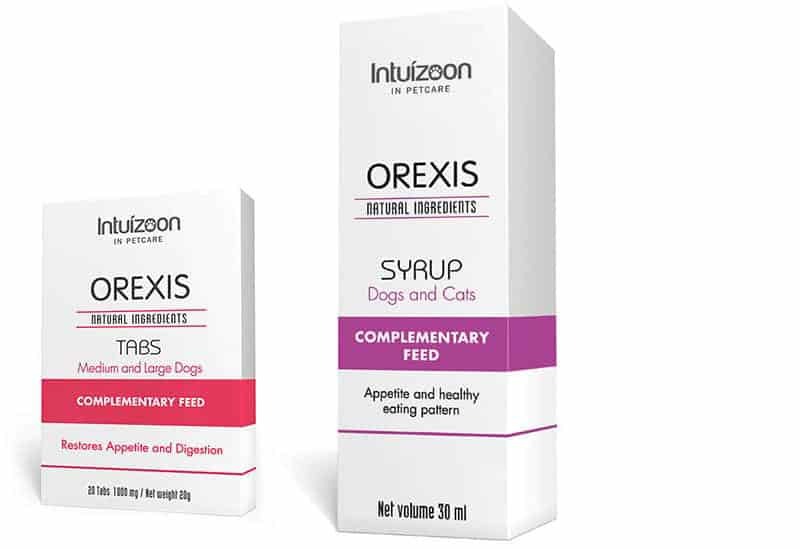 Tablets 200 mg for cats & small dogs, tablets 1000mg for medium & large dogs. Easy to administer with 1-ml oral syringe included & high palatability (chicken flavour). Dosage 1000mg: Dogs between 10 and 20 kg : 1 tablet per day. Dogs between 20-40 kg- 2-4 tablets per day. Simply administer the tablets deeply into mouth cavity. Complete the daily ration with your pet’s usual food. Always make sure plenty of fresh water is available. To be used in accordance with veterinary advice. Syrup: Administer recommended dose directly into pet’s mouth with the aid of the oral syringe provided. Cats and dogs: 1 ml per 5kg of animal weight. Adjust according to weight. Complete the daily ration with usual food. Always ensure plenty of fresh water available.